Callously wrecking rural communities, it’s no wonder that big wind is struggling in the Land of the Free and the Home of the Brave. While a few utterly deluded Democrats are keen to take Americans down the rabbit hole, with claims that an all wind and sun powered future is just a heartbeat away (for the truly faithful, that is) – numerous States in the US are resisting in grand style. Americans tend to take democracy as a raw and heady brew, and participate in a manner that often leads to immediate and lasting results. Rather than let wind power outfits destroy their idyllic communities forever, rural Americans started fighting back early, and hard. The result has been a series of brilliant successes: numerous states have balked at new wind projects and several have effectively banned new wind projects, outright. Proving that well-organised and well-disciplined campaigns have the prospect of prevailing against the odds. If your community is being targeted, take note: on the law of averages, it’s only those that fight who end up winning. Here’s Robert Bryce detailing the demise of the American wind industry, thanks to the way rural Americans roll. The energetic chatter of the moment is dominated by talk about the Green New Deal — a collection of proposals that would require running the entire American economy on renewable electricity within a decade or so. The backers of the Green New Deal — along with their allies at big environmental groups such as the Sierra Club, Greenpeace, and others that tout all-renewable schemes — refuse to acknowledge the simple truth that deploying renewable energy at the scale required to fuel the U.S. economy would require covering state-sized territories with nothing but wind turbines and solar panels. It would also require stringing tens of thousands of miles of new high-voltage transmission lines. Promoters of all-renewable schemes inhabit a make-believe world where there’s endless amounts of vacant land — territory that’s just waiting to be covered with energy infrastructure. The truth is exactly the opposite. All across the country, from Vermont to California, local and state politicians are restricting the encroachment of renewable-energy projects, with wind energy and high-voltage transmission lines facing the staunchest opposition. Before discussing that opposition, let’s look at a study published last year by two researchers from Harvard University that detailed the enormous amounts of land that would be required by an all-renewable scenario. The study, co-authored by Harvard physics professor David Keith and postdoctoral fellow Lee Miller, looked at 2016 energy-production data from 1,150 solar projects and 411 onshore wind projects. Those wind projects had a combined capacity of 43,000 megawatts, or roughly half of all U.S. wind capacity that year. The key conclusion in Keith and Miller’s paper is this: “Meeting present-day US electricity consumption, for example, would require 12 percent of the continental US land area for wind.” The two researchers didn’t spell out exactly what that means, so let’s do the math. The land area of the continental Unites States is about 2.9 million square miles (or 7.6 million square kilometers). Twelve percent of that would be about 350,000 square miles (or 912,000 square kilometers). Therefore, merely meeting America’s current electricity needs with wind would require an area more than twice the size of California, which covers about 164,000 square miles (424,000 square kilometers). In other words, just meeting existing electricity demand — and remember, this ignores the vast amounts of natural gas needed by industry and the millions of barrels of oil per day needed to fuel our airplanes, trucks, and cars — would require covering with wind turbines a land area twice the size of Nancy Pelosi’s home state. The idea of setting aside that much land is nonsense on stilts. 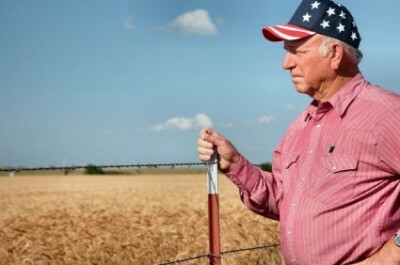 The all-renewable dogma of the Green New Deal looks yet more absurd because it is being promoted at the very same time that more and more landowners and politicians in rural areas are fighting against renewable-energy projects. Consider what is happening in Vermont, the home state of Bernie Sanders, the U.S. senator and former presidential candidate. Sanders, along with Ocasio-Cortez, was among the early champions of the Green New Deal. 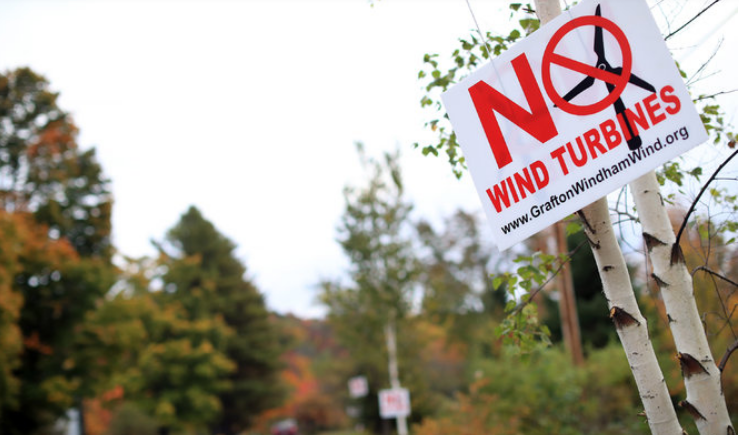 But wind projects in Vermont are facing strong opposition. Last November, both gubernatorial candidates — incumbent Republican Phil Scott and Democratic challenger Christine Hallquist — made it clear that they’re opposed to further wind-energy development in their state. Furthermore, according to data from the American Wind Energy Association, no new wind projects are being developed in Vermont. Or look at New York, which has a renewable-energy mandate of 50 percent by 2030. But three upstate counties — Erie, Orleans, and Niagara — as well as the towns of Yates and Somerset, are actively fighting a proposed 200-megawatt project called Lighthouse Wind, which aims to put dozens of turbines on the shores of Lake Ontario. The same developer that is pushing Lighthouse Wind, Virginia-based Apex Clean Energy, is also facing fierce resistance on another project in New York that aims to put 109 megawatts of wind capacity on Galloo Island, which sits off the eastern shore of Lake Ontario. In its application to the state for a permit, Apex neglected to report that bald eagles have been nesting on Galloo Island. The company’s permit for that project is now in jeopardy. Land-use battles are also being fought over the high-voltage electricity-transmission lines needed to carry solar- and wind-generated electricity from rural areas to customers in big cities. In 2017, Iowa enacted a law that prohibits the use of eminent domain for high-voltage transmission lines. The move doomed the Rock Island Clean Line, a 500-mile, $2 billion, high-voltage direct-current transmission line that was going to carry wind-generated electricity from Iowa to Illinois. The opposition forced the project’s developer, Houston-based Clean Line Energy Partners, to withdraw its application for the project in Iowa. In early 2018, Clean Line Energy Partners also announced it was suspending its years-long effort to build a 720-mile, $2.5 billion transmission line across the state of Arkansas. The Plains & Eastern Clean Line aimed to carry wind energy from Oklahoma to customers in the southern and southeastern U.S. But the project faced fierce opposition in Arkansas, where the state’s entire congressional delegation opposed the deal. In short, renewable-energy projects are facing a growing rural backlash, and that backlash is already limiting the growth of renewable sources and in particular, the growth of wind. The obvious conclusion is that renewable energy alone cannot meet our economy’s enormous energy needs, and no amount of populist spin can change that fact. Trillions wasted on global warming scam would provide adequate sewage treatment and safe drinking water for the entire world. And this article (and the Greenies) ignores the fact that for intermittent renewable power, you need storage for that power for when the ‘renewable’ wind or sun fails to make an appearance. And then you need to increase the generating thingies to generate the power to be stored in that storage. Then you need MORE generation thingies to handle the loss of all this generation, storage and transmission. So, just how many valleys is the ‘New Green Deal’ going to have to flood? Or is that magical grid-level battery just around the corner? Some US States make it harder to fight than in others, but EVERY state has citizens fighting for their homes and their health against all odds. Sometimes the citizens lose, but more and more often the wind whores get blocked. Considering that the citizens are operating with little or no money and the wind developers and crooked utilities get hundreds of billions of tax and rate dollars, it is a miracle. Rural guerilla warfare is what it feels like. Thank you Robert Bryce and Stop These Things for your continued interest in doing the right thing. Keep at them Kristi, never surrender.